In todays video recipe we will be taking the classic delicious Baba Gahnoush spread and turn it into a stunning family style appetizer. Baba Ghanoush is an eggplant spread but here it is in a whole different way,instead of mixing the roasted egg plant with tahini we will keep the eggplant whole and drizzle the tahini on top. It creates a beautiful presentation. Tahini, garlic, lemon juice , salt , pepper and paprika to taste as well as water for the desired consistency. Cut the eggplants in halves and season with salt, pepper and cumin for flavor, roast the eggplants for about 20-30 minutes until roasted through. 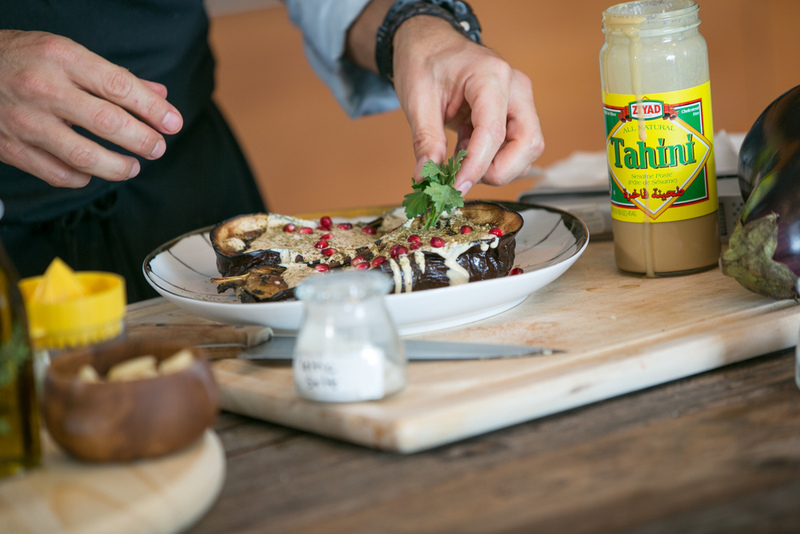 While your eggplant is being roasted prepare the Tahini sauce by mixing all the ingredients ABOVE. 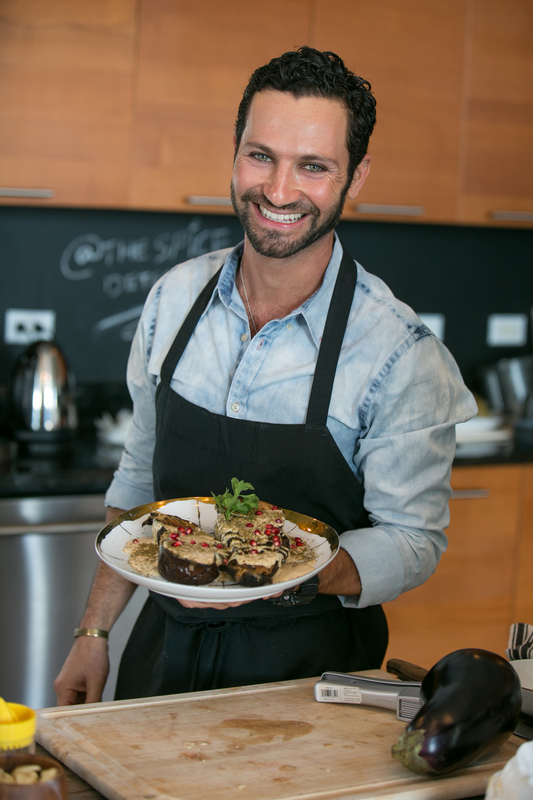 Once eggplant is done, drizzle the tahini sauce all over and garnish with fresh herbs, zaatar spice, paprika or more cumin. Please watch video above for step by step instructions. Spread the word, share on your social media and share the video with your friends and family who love healthy cooking.